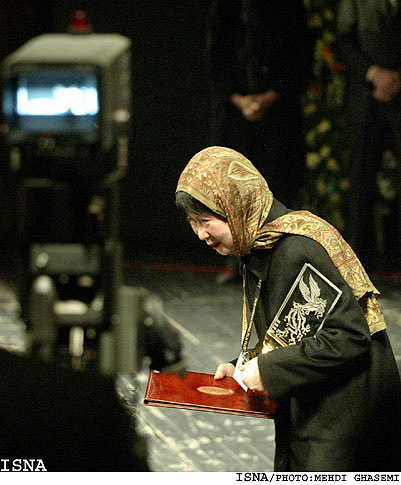 The ceremony marking the end of the 22nd International Fajr Film Festival (February 1-10) was held in Tehran at Vahdat Hall on Tuesday evening, IRNA reported. photo: ISNA The ceremony started with the address of the festival secretary, Ali-Reza Reza Dad, who declared the achievements of the 22nd film festival. 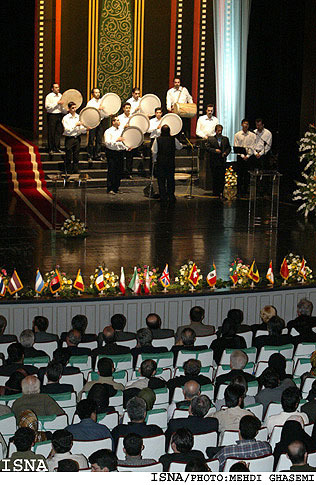 In the ceremony, the selected people in cinema were introduced and the celebrated Iranian film producers were lauded. Meanwhile, members of the juries for various competition sections including that of Iran, the international, debuts, short films and documentaries announced their decisions. The Crystal Phoenix for the best film from the viewers' outlook was awarded to Kamal Tabrizi's 'Lizard'. In the ceremony, the prominent film directors Abbas Kia Rostami and Majid Majidi were lauded for the most frequent participation in national film festivals and grabbing the greatest number of cinematic trophies in the domestic scene respectively. Also the famous film director Darioush Mehrjouie was applauded for his wide participation in the national cinematic affairs. 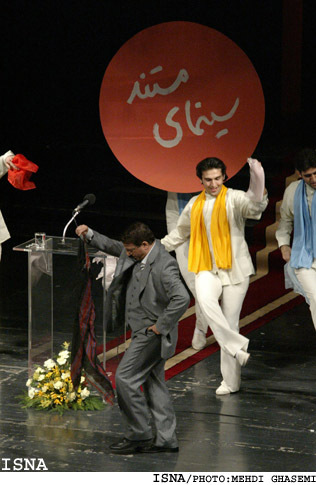 In the guest section of the festival, Ali Abdolalizadeh was awarded for his film dubbed '13 Cats on the Roof'. According to Reza Dad, growing number of viewers, the quality and quantity of the films, public satisfaction with the produced films, their diversity and innovation are among the achievements of the current festival. 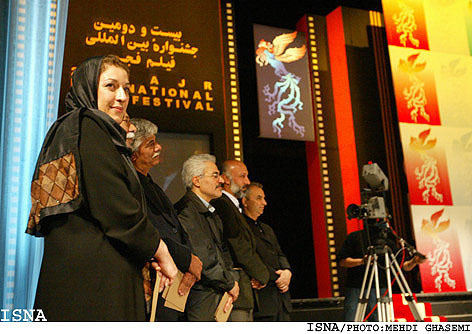 Kia Rostami, who was absent, in a letter to the office in charge of the festival referred to the role of the cinema intended for festivals in establishing dialogue with people and the world cinema and said that it is taken as a small cinema which in no way would damage the major cinema. 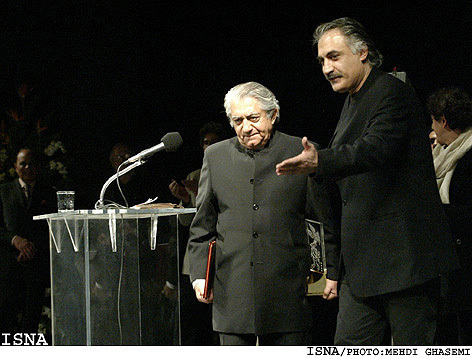 He granted his trophy to the former head of Farabi Cinema Foundation's international department, Ali Reza Shoja Nouri for his initiative to introduce Iranian cinema to the world.